- The simplicity of installation. 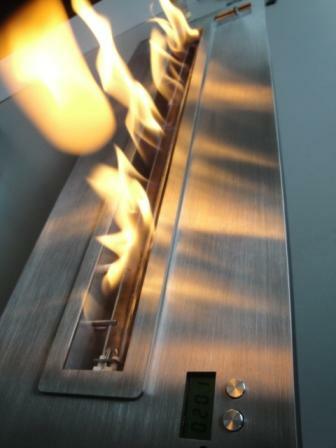 - The Design and the customization of the universe of the fire (vent free burners). 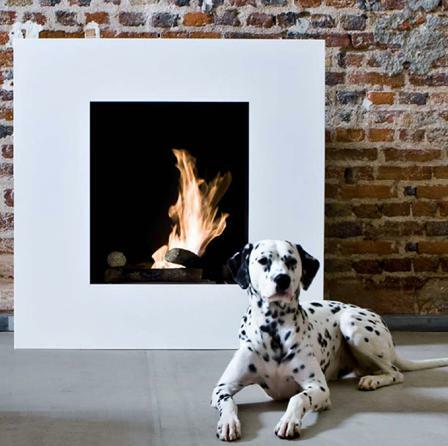 - Vent free fireplace which can settle down everywhere and without boring works of installation. 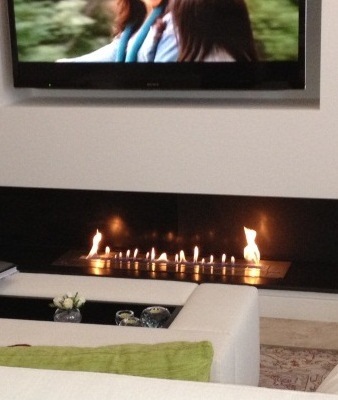 - Just press on the remote control or the button on / off, all the devices are equipped with an automatic ignition. 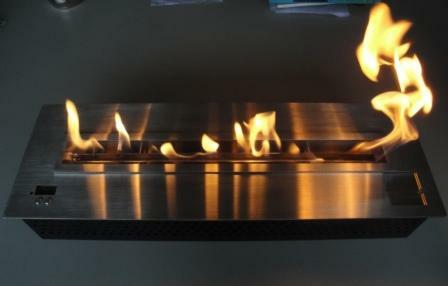 - Create your personalized universe with an ethanol burner (from 40 to 180 cms - 16 to 71 inches wide). 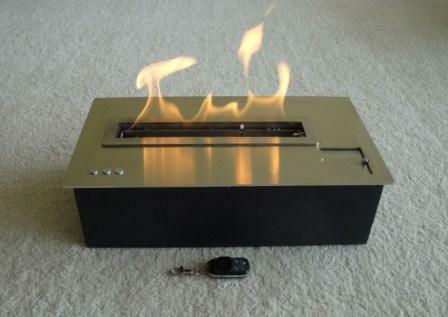 - All hearths and burners are endowed with safety equipment which stops the device in case of dysfunction. 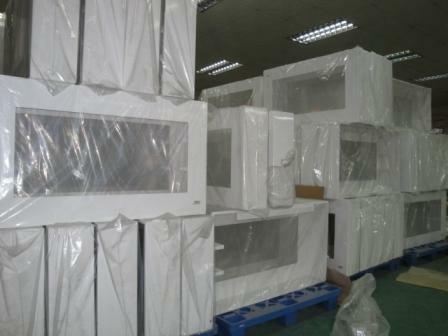 All the A-FIRE products are made to meet requirements of safety standards. 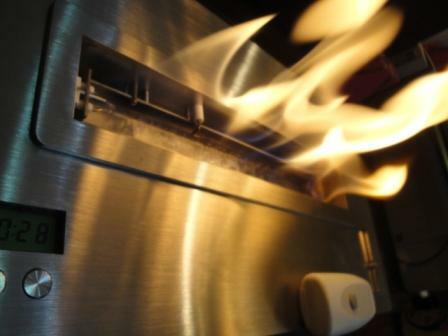 All the A-FIRE devices work in positive safety, in case of malfunction safety detectors stop the flame. 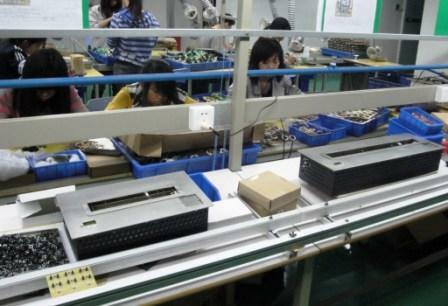 All the A-FIRE products are equipped with an automatic electronic ignition and it is now not necessary to approach hands to ignite the device. Button on:off or remote control allow to order devices from its sofa with the maximum of comfort and security. 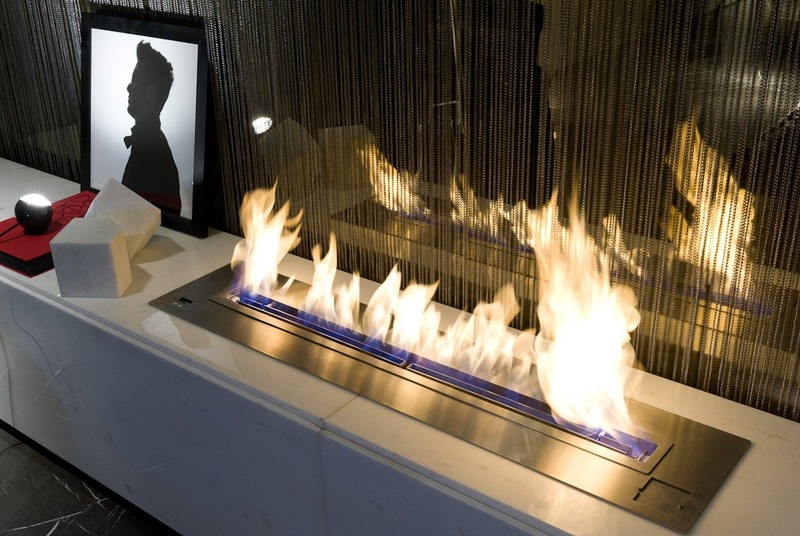 A-FIRE is an ethanol fireplaces manufacturer which quickly informs you. 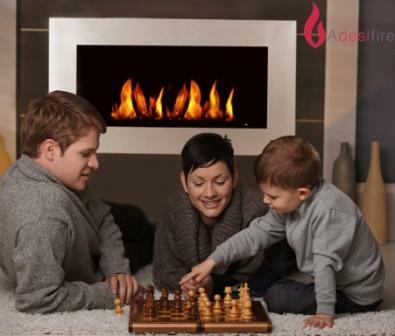 If you need a proposal with adapted products, A-FIRE will answer within 24 hours. All the members of our sales department have a technical training and an long experience which allows them to answer exactly to your questions. Apply for a catalog, a tariff, you will receive all details usually within 24 h ! 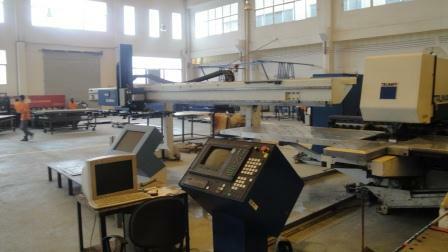 Please, feel free to contact us for further information..